To celebrate our excitement for Comicpalooza (May 12-14 in Houston! 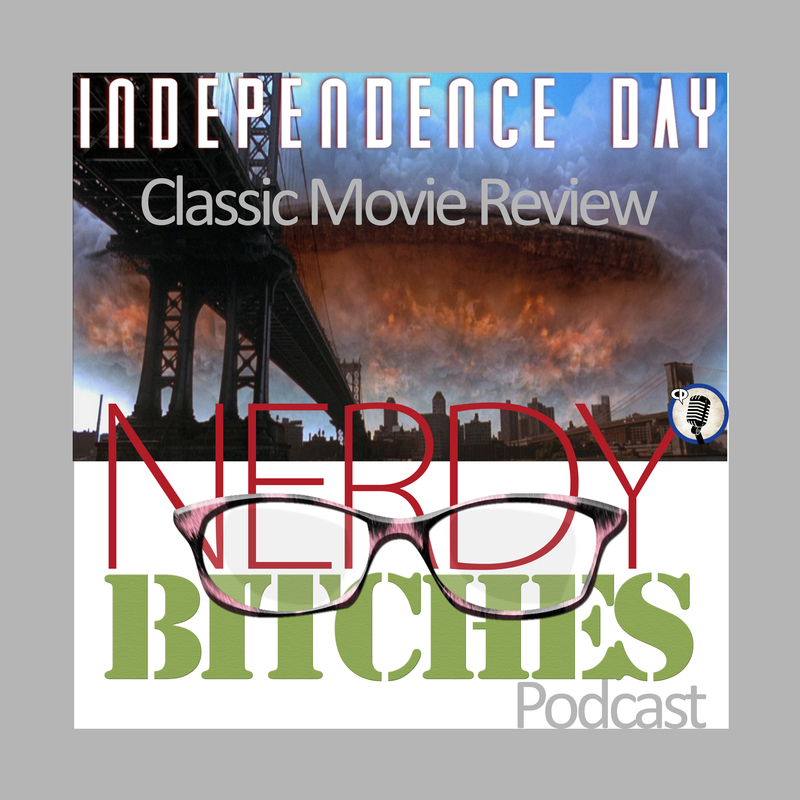 ), in this episode, Heather and Liz do another Classic Movie Review on 1996’s Independence Day! This awesome action movie stars Mary McDonnell, who will be attending the festivites at Comicpalooza this year! In this movie, she plays First Lady Marilyn Whitmore. We spend a good amount of time discussing this movie – all of our favorite parts, lines, and gaping plot holes. But we really do love it! The show is nearly as long as the movie! We are proud to be part of the Comicpalooza Podcast Program for the second year! Come down and see us at Texas’ largest comic convention! It also serves as a huge literary convention. There is guaranteed to be a little something for everyone! We hope to see you all there! Make sure you are following us on social media to find us! Twitter (@nerdybitchespod), Instagram (@nerdybitches), and Facebook! We will try our best to post a lot of pictures, locations, and live videos!